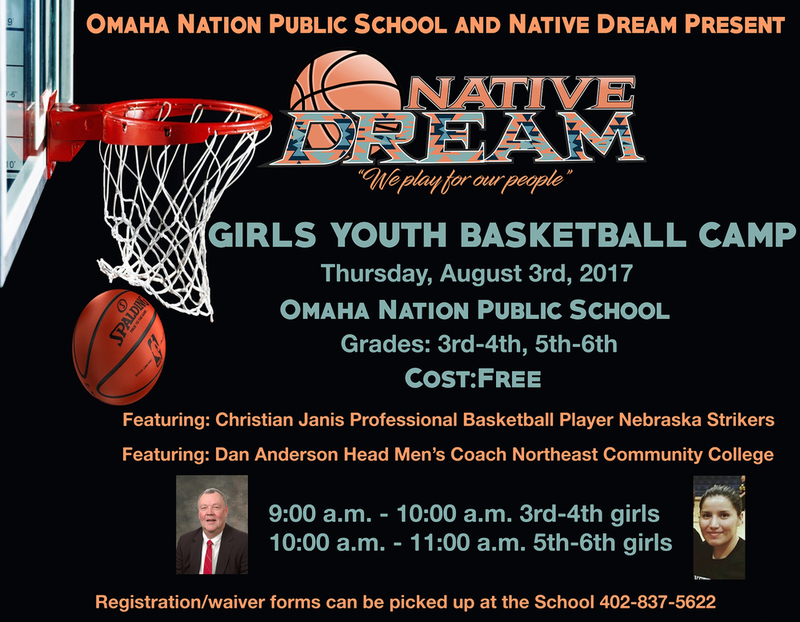 UNPS and Native Dream Present the Native Dream Girls Youth Basketball Camp on Thursday, August 3rd 2017. The event takes place at the school and is open to girls grades 3-6. Registration/waiver forms can be picked up at the school (402) 837-5622.